Open, elegant and well-designed best describes this 3 BD, 2 BA, 1,929 s/f ranch by Payne Family Homes. Features inc a 3 car garage (3rd car is tandem), 9â ceilings w/12â in the Grt Rm-Kit-CafÃ©, laminate wood plank flooring, gas FP, large island w/brkfst bar, Quartz countertops, st steel appl, gas stove-micro-D/W, 42â cabinets w/crown molding, spindled railing at the open stairs, custom wall paint, Sitting Rm off of the Mstr Bdr, 2 W/I closets in the Mstr Suite, raised height dbl bowl vanities in the Mstr bath w/wave bowls, Jeld wen Low E windows, walkout bsmt, garage door opener, keyless garage entry, R/I bath & more. 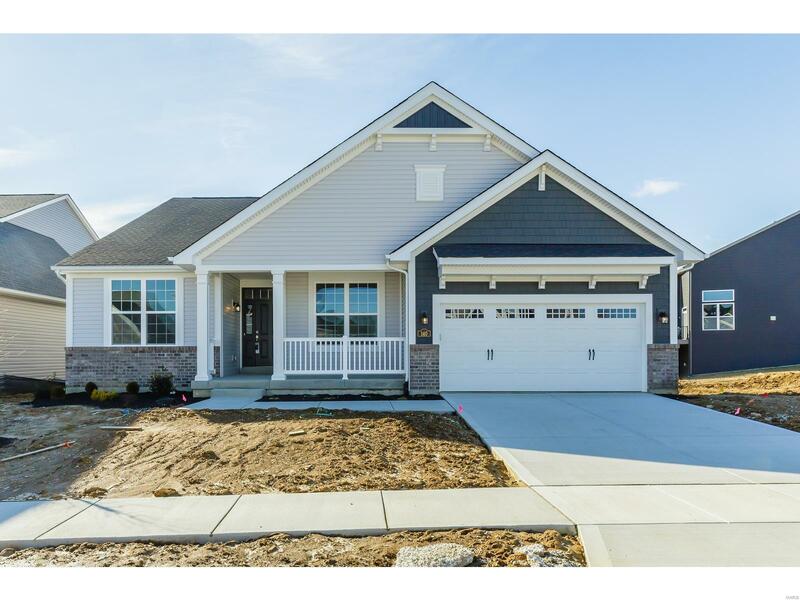 The ext is elegant w/brick, low maint vinyl siding, shake accent in the gable, arch shingles, a covered porch w/vinyl railing, garage coach lights, 3 car tandem garage, full yard sod, prof landscaping & a 12x12 patio. This popular neighborhood in O Fallon is located just minutes from shopping, dining, schools, recreation, parks, golf & easy access to Hwys 364 & 40.